According to the campaign, every goal scored by the Super Eagles at the World Cup would attract a sum of N1m to the scorer. 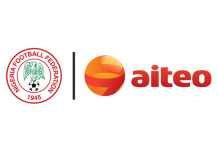 Speaking at the companyâ€™s corporate headquarters in Ikorodu Road, Lagos on Thursday, the company’s Executive Director, Sales & Marketing, Mr. Olugbenga Olayeye, said: “All they have to do is score as much goals as possible. This is our own way of supporting the Super Eagles. Astymin ‘One Goal One Million Naira’ World Cup campaign is an off-shoot of the brand’s 2018 #Go The Distance’ campaign that emphasises the need for Nigerians to strap up their full potentials and be the best they can in every area of their endeavour. “Astymin is much more than just the most trusted brand of Amino Acid. We are committed to ensuring that Nigerians are physically and mentally active and healthy in order to be able to reach for their various life dreams,â€ Olayeye said. He said futher that, Astymin shares the passion of Nigerians for football and the desire of the countryâ€™s national team to excel at the World Cup. 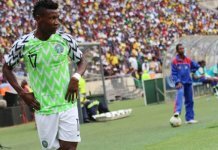 â€œAstymin symbolises good health and excellent performance, which is why we are encouraging the Super Eagles to give their best and go the distance,â€ he said. The campaign is however not for only the Super Eagles players, but soccer-loving Nigerians have also been given opportunity to win mouth-watering prizes by participating in a special World Cup quiz competition and match predictions. Astymin is happy to be a significant part of every success story and the only way to do this is by supporting individuals with what we believe is most critical to achieving success and good health. You can only achieve your goals when you strive hard towards it, and to do that, you need your best self. You need to be healthy and active both physically and mentally, which is where Astymin comes in”, Olaleye opined.